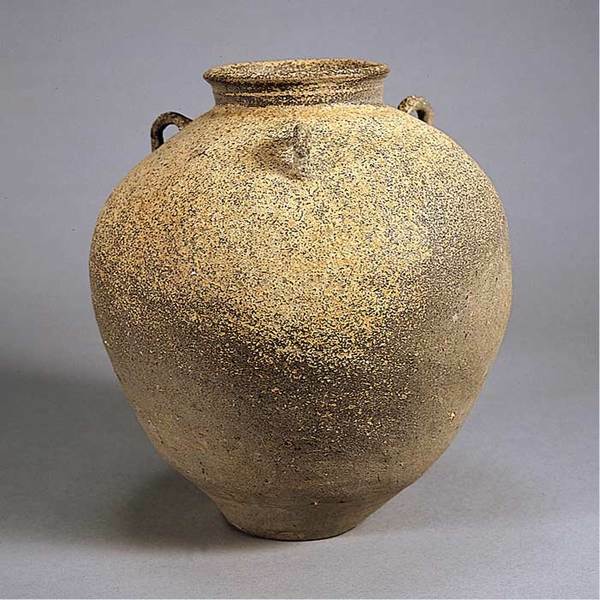 This jar of Suzu-yaki ware features three ears and a sloping shoulder. The underglaze is gray-black a characteristic of Suzu-yaki ware. From the neck to upper body, scattered signs of ash resembling white sesame can be found. This piece is regarded as one of the outstanding works of Suzu-yaki ware because of its well-balanced and perfect shape. © 1999-2019 Ishikawa prefectural museum of art.